Sudoku is something much bigger than just a game. Newspapers and magazines are often filled with these magnificent brain exercises. Today our planet has a fever about it and you have great possibility to get rid of tons of papers and pencils. 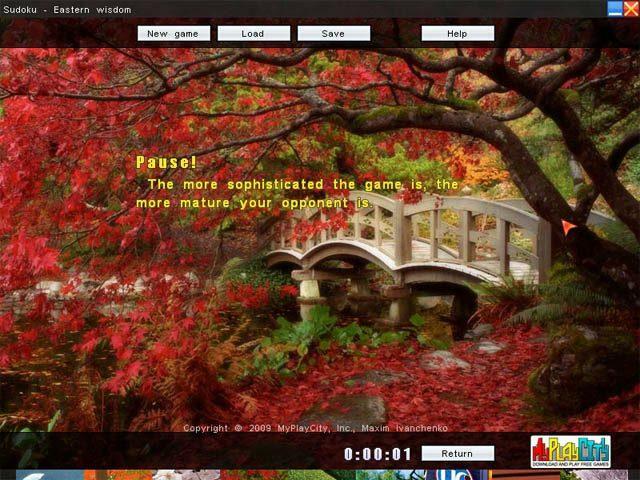 Play the game Sudoku - Eastern Wisdom on your laptop or PC! It's no need to search for a new Sudoku board because dozens of them are already at your hand. Today more than 8 different kinds of Sudoku exist. Championships are held between teams from various countries. Get the finest classic and enjoy well-known rules with 9x9 board and 3x3 cells. Fill empty spots with numbers that should neither repeat in horizontal or vertical lines through all board, nor be seen twice in the same cell. It sounds as easy as hard it looks like! There are three modes of difficulty with quite a lot of unique levels in each. Beautiful background views are following one another and a splendid picture of the Eastern life is shown when you beat a level. 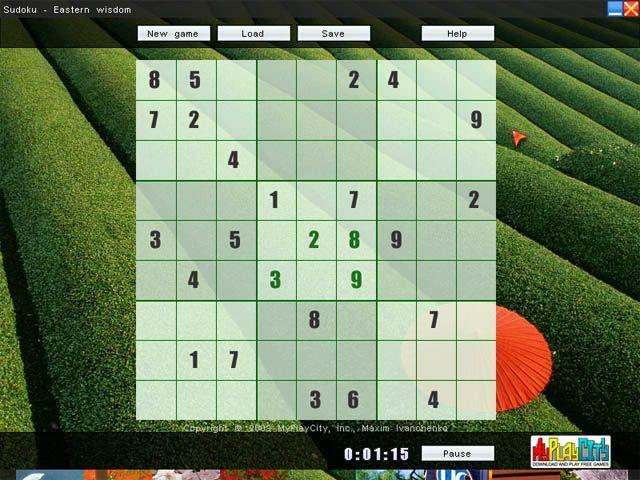 The game Sudoku - Eastern Wisdom gives you a lot of joyful possibilities to rack your brains. You can save and load game any moment. Simply click the number that you think fits the spot on the screen and enjoy the perfect brain teaser. You can easily replace the numbers if you change your mind. Increase mathematic skills and pass all the levels. Download the game Sudoku - Eastern Wisdom totally for free and discover hours of satisfying entertainment which makes your brains work. 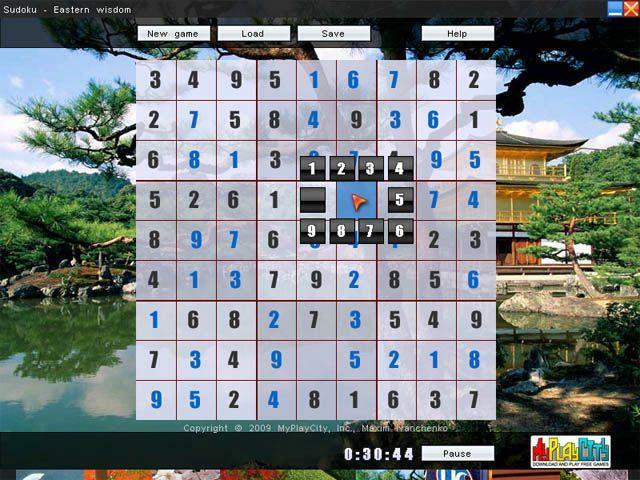 Don't forget, the game Sudoku - Eastern Wisdom is available every single moment you choose!